Boxed vs bespoke e-commerce: What’s best for your business? What options are available to you when creating an online shop? Effective e-commerce has become a major consideration for modern-day small businesses. For retailers, having an enticing shop front and attractively priced goods often isn’t enough. They also need an impressive website and an effective way in which to sell goods online. In the late 1990s the first boxed ecommerce systems became available to businesses. 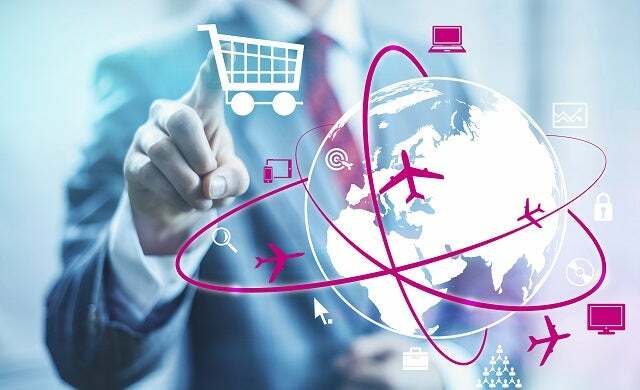 Providing an easy-to-master ‘shop in a box’ solution, many firms previously unable to offer e-commerce websites grasped the opportunity to gain an online presence. With bespoke and boxed e-commerce systems now dividing the market evenly between them, there is some debate as to which method is best for small businesses. Advocates of bespoke systems point to the advantages of a tailor-made website, while boxed ecommerce providers argue that the usability and speed of their products make them superior. There are many factors to take into account when deciding between a tailor made e-commerce site and an off-the-shelf solution. Your decision will probably be influenced by finding a balance between cost, functionality and ease-of-use of both options. An off-the-shelf e-commerce package is easy to install and often easy to use. It is almost certainly likely to be cheaper and quicker than having a bespoke e-commerce site designed for you. However, updates can be expensive and sometimes unavailable. A bespoke system will allow you to present your products in the most appropriate and effective way for your business. This is especially important if you have complex products, or product ranges, with multiple components or relationships between them. A bespoke system can often be more easily integrated with existing IT systems and web services as it is developed from the ground up to meet your specific needs. This kind of system can help set you apart from competitors who might use standard off-the-shelf products, which tend to follow a very similar look and feel. You will have to consider what you need from an online shop very carefully before you commit to either package. Another option, if you cannot afford the time or cost of your own online shop, is to run your online shop within a wider e-commerce community such as eBay or an online shopping mall. For more information on these kind of sites, click here.